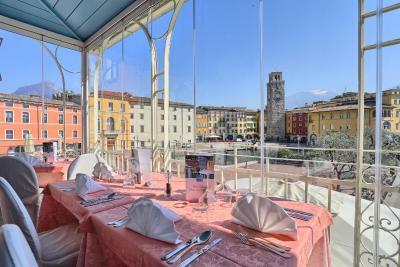 Lock in a great price for Hotel Europa - Skypool & Panorama – rated 8.4 by recent guests! Europa hotel location is excellent. 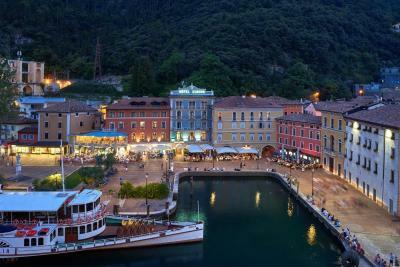 One side faces into a square in the town and the other to a main road making it very easily accessible when you arrive in Riva compared to other properties in the town. The breakfast buffet was good, if not exceptional, and the pro secco was a nice touch. 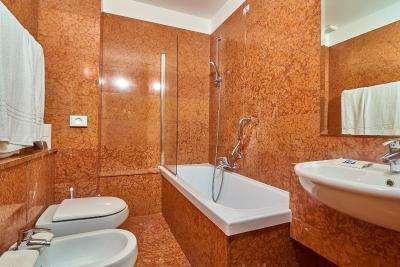 The room was small, like a 3 star hotel not a 4 star, but the bathroom was in marble and elegant. 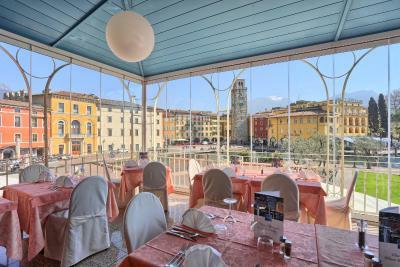 The location was perfect and the view from the room and breakfast room spectacular. The aircondition was tuned off, even if it was warm outside during the day, was difficult to get airflow in the room even with the window open. The location was perfect. The staff at the breakfast was lovely and kind! The staff were so happy to cater to us; even making us an early breakfast on a day we were taking an excursion. 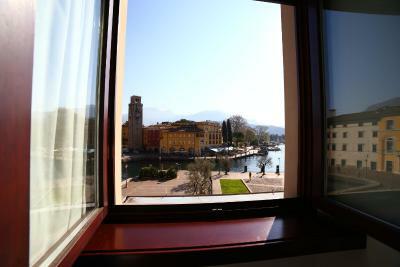 The room was a good size and clean and the view from the breakfast room and pool was stunning! 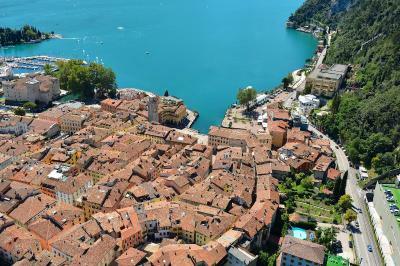 Located right in downtown with excellent mountain and lake view (also at one of Riva del Garda's central, very picturesque piazzas), with its own parking space, easy access to anything worth seeing or visiting - churches, restaurants, beach, even the beginning of hiking routes to the mountains; right next to the Quantum of Solace intro tunnel :) Great coffee in the morning and nice breakfast terrace. The room was spacious, with a balcony which was nice and breakfast was good, as well as the adjecent Bistro16, where the women working, was really nice and helpful. 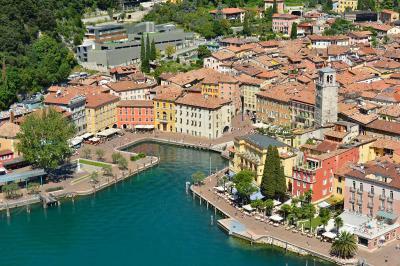 Lake view rooms face the square and let you soak up the unique Italian town atmosphere including city tower & clock. 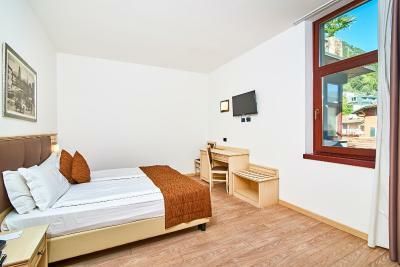 Sound proofed doors & windows keep room quiet. Both Front Office and breakfast staff provide great service and are very accommodating. Hotel Europa - Skypool & Panorama This rating is a reflection of how the property compares to the industry standard when it comes to price, facilities and services available. It's based on a self-evaluation by the property. Use this rating to help choose your stay! 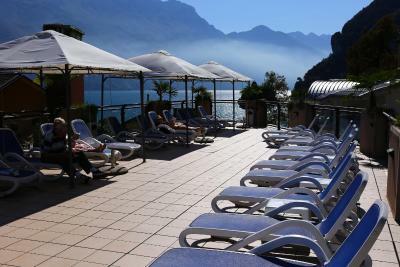 One of our top picks in Riva del Garda.Offering a terrace and a small swimming pool with amazing views of Lake Garda, Hotel Europa - Skypool & Panorama is centrally located in Riva del Garda. Wi-Fi access and the internet point are free. 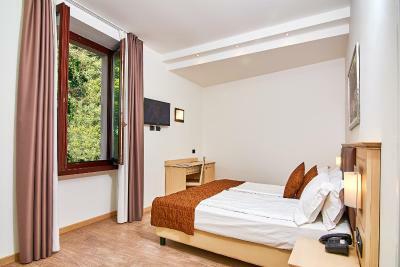 Rooms are simply furnished and each one has an LCD TV with satellite channels, plus a private bathroom complete with toiletries and a hairdryer. 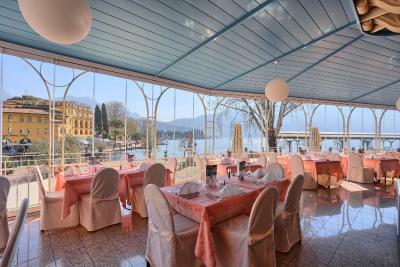 The restaurant has à la carte menus of local cuisine and classic Italian dishes. 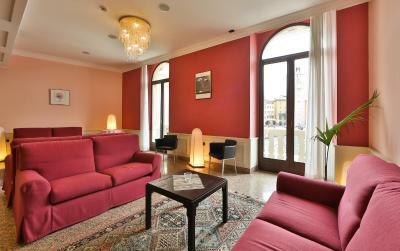 Other on-site facilities at Hotel Europa include a 24-hour front desk and a Turkish bath. A free bicycle deposit with maintenance tools is available 350 feet from the hotel. 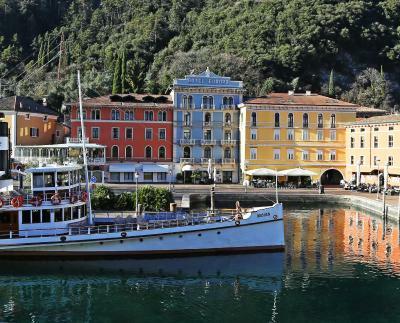 Located right on the lake shore, this hotel is 4.3 mi from Limone sul Garda. 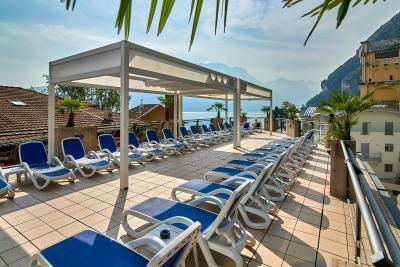 This is our guests' favorite part of Riva del Garda, according to independent reviews. 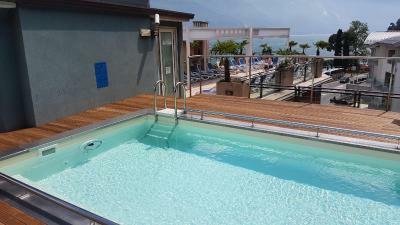 When would you like to stay at Hotel Europa - Skypool & Panorama? 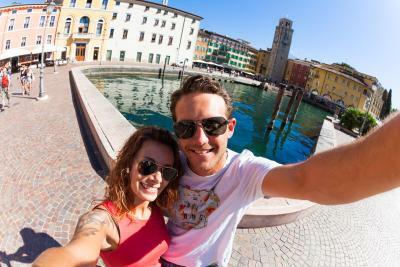 House Rules Hotel Europa - Skypool & Panorama takes special requests – add in the next step! ATM card Hotel Europa - Skypool &amp; Panorama accepts these cards and reserves the right to temporarily hold an amount prior to arrival. 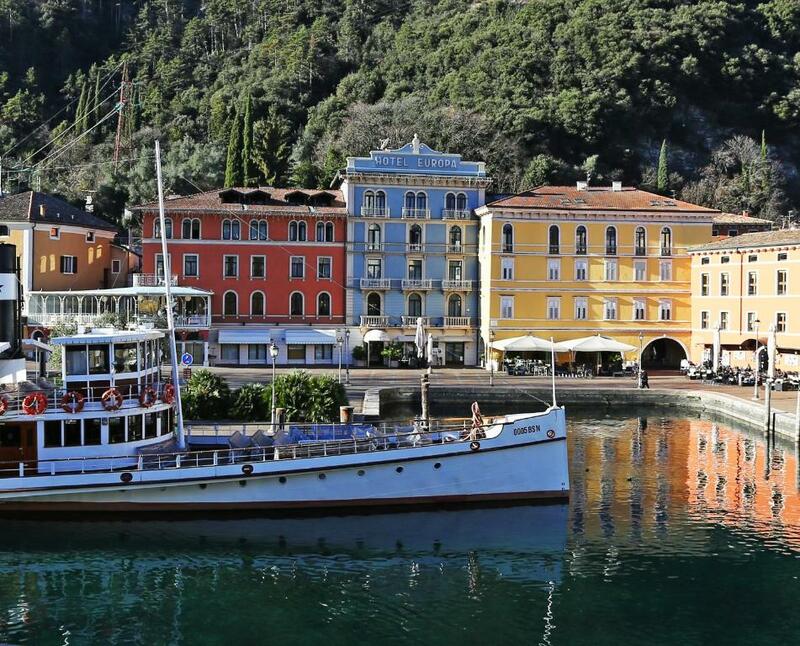 Hotel Europa - Skypool & Panorama accepts these cards and reserves the right to temporarily hold an amount prior to arrival. 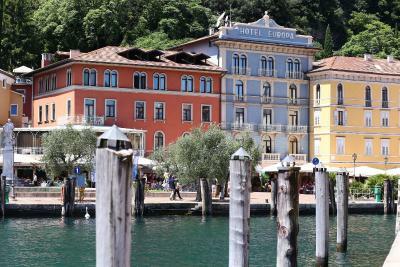 In line with most hotels around Garda, Europa is not luxurious or boutique, it is nicer than most in Riva but still fairly basic. This is more a comment about the standard of hotels in the area than about the Europa. Staff was excellent. Great location. The staff at the reception was somehow rude and they looked us over their nose. Reception staff was very kind and friendly to elder people but for us (two young women) they behaved kind a coldly and didnt take our concerns seriously. In the evening (about at 7pm) I tried to get extra blanket to our room, but it wasnt possible, no until morning - what is the point for 24/7 reception if nothing cant be done before morning? Seriously, 4 stars hotel? The only shame was that the pool wasn’t slightly bigger. A bit too dark bathroom, a bit too unmanageable air conditioning (too strong, too loud), and a staff who is nice, but a bit too detached like in any overcrowded hotel. Also never used the pool, so can't say anything. Otherwise everything was great. Can't fault anything. As a swimmer, I found the pool to be inadequate for swimming in, but it was fantastic to have it just to cool down in. There was more than enough water in the lake to have a good swim in! 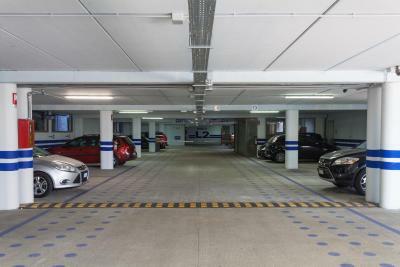 Cleanliness, friendliness of staff, location. 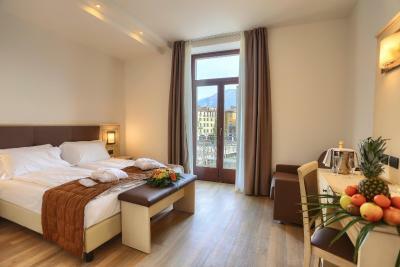 Nice spacious room, small pool on the terrace and great buffet for breakfast. 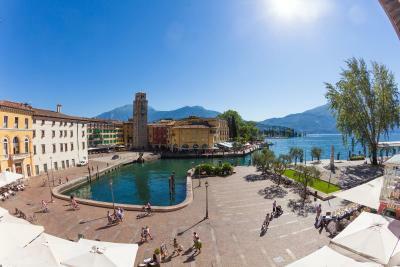 The hotel is right in the main square. There are two car parks and the price is not included in the booking, just fyi. I will definitely recommend it. Staff were amazingly friendly at all times of the day and night. The facilities were superb and the location is very picturesque. The breakfast was gorgeous and the view from the breakfast balcony is serene. Can't wait to return again soon. Disappointed that pool was not operational due to replacement. The breakfast was fantastic and the view from the outdoor balcony great. Staff friendly and helpful with our two young children.